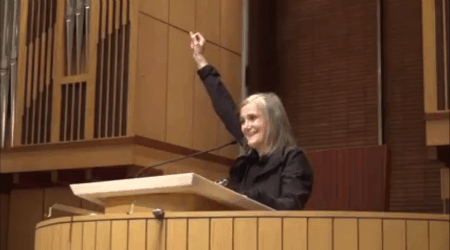 Video: Amy Goodman, Democracy Now! In these times of war and elections, movements and uprisings, we need independent media more than ever. The commercial media serves as a mouthpiece for corporate and government interests–giving a platform to the pundits and the pollsters who know so little about so much, explaining the world to us and getting it so wrong. Democracy Now! is a modern day underground railroad of information, bringing stories from the grassroots to a global audience. Free speech is democracy’s last line of defense. We must demand it, defend it, and most of all, use it–now. This entry was posted in Events, Videos and tagged Amy Goodman by PPJC Admin2. Bookmark the permalink.